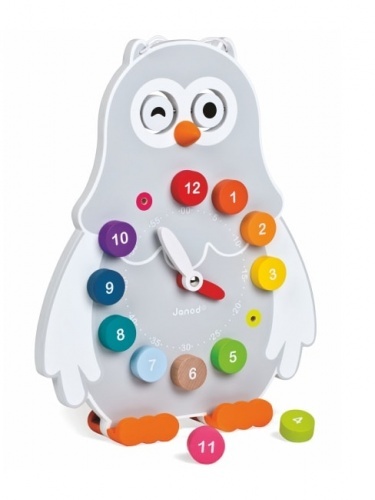 The aim of this brightly coloured toy is to help your child learn how to tell the time. Each card included in the set shows a different scene, depicting a specific time of day. 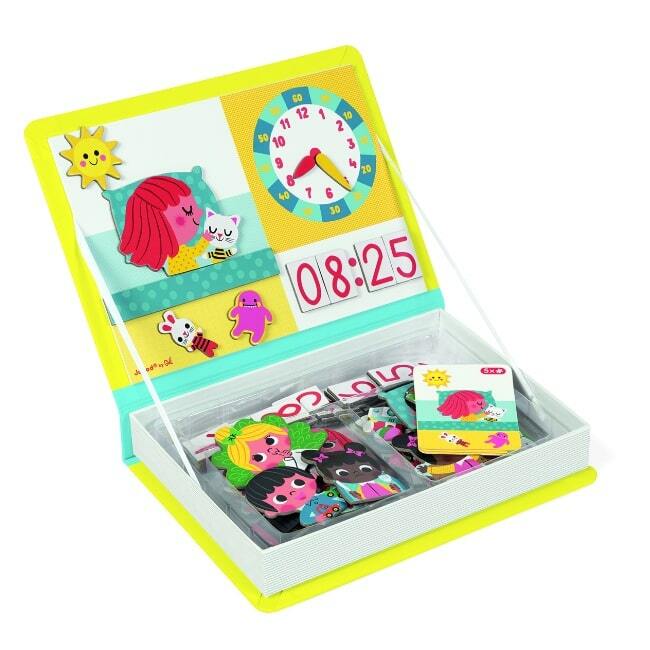 The aim of the game is to copy what’s happening on the card using the magnetic characters and objects on the magnetic “stage” surface, and make sure the analogue and digital clock faces show the right time. 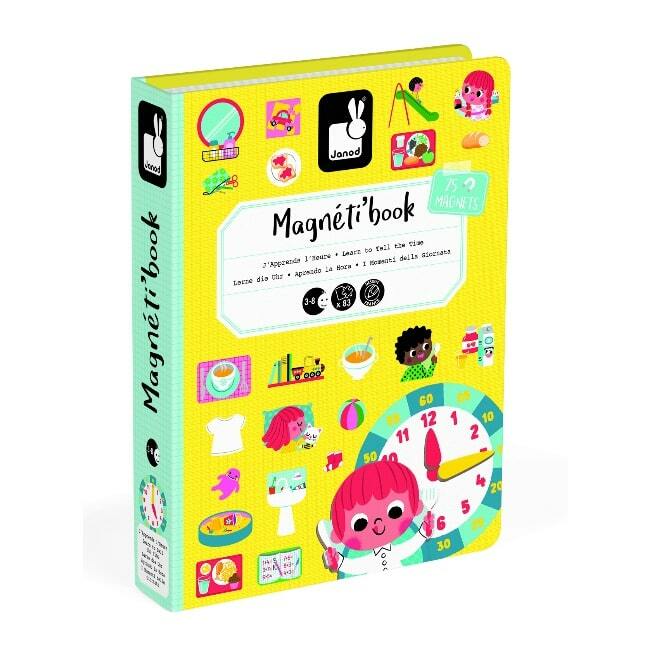 Beautifully presented with retro-style illustrations, this toy will continue to be a favourite long after your little one has learned to tell the time. 75 magnets and 8 cards printed on both sides.